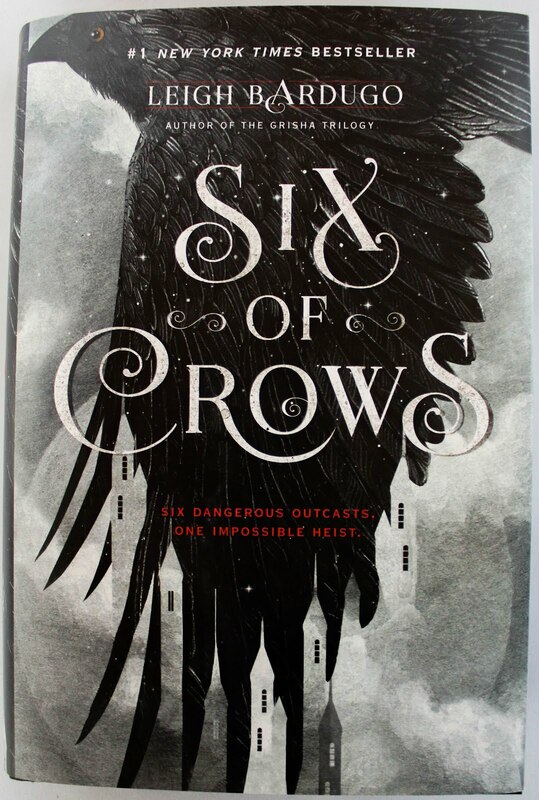 If I had to describe SIX OF CROWS which, you know, is kind of the point of reviews, I’d say it’s a darker, YA version of Ocean's Eleven. Only with more magic and less George Clooney…and a cast of six instead of eleven. 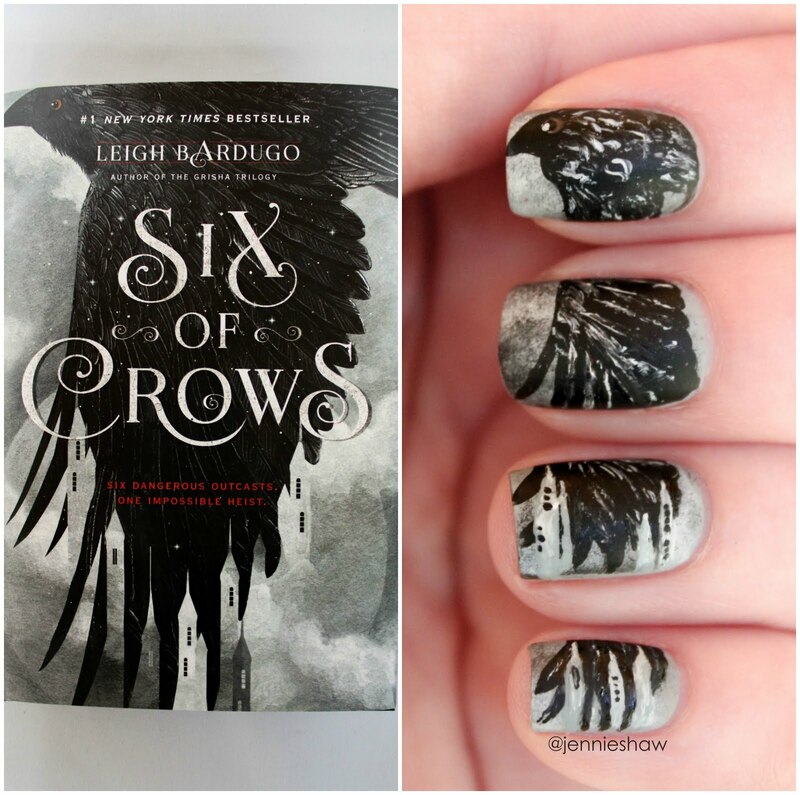 Because six of crows. Haha! The quality of writing and gripping storyline demanded my full attention from the very first page, and didn't grant me the slightest bit of rest as I flew from chapter to chapter. I swear, if my hands hadn’t otherwise been occupied holding the hardcover copy, I would’ve gained three pounds from stress-eating. Because not only are the characters completely diabolical, grazing the edge of the moral line as they charged forward, but there was always an obstacle. An insurmountable obstacle or so it seemed. But insurmountable obstacles were basically the six of crow’s bag, and with each clever and high-risk plan, I found my nose moving closer to the page until my eyes would blur and I’d have to move back. Basically, it was like my body wanted to meld itself to the story, and with the captivating prose, I got as close to becoming part of a story as I ever will. So thanks for that, Leigh Bardugo! Another reason I’d compare SIX OF CROWS to Ocean's Eleven is the humour, which was laced throughout the book and gave slight moments of relief within terribly tense situations. And the characters' camaraderie, the jibs and jabs (all being of the dark-humour variety) cemented my love for Kaz's band of misfits, who never fully trusted each other even when their lives depended on it. And that's why this book is so awesome. The plot was incredibly layered, problems heaped on top of problems and sprinkled with, you guessed it, problems, which meant that there literally wasn’t a pause in the action. If it wasn’t a new crazypants plan from Kaz, it was perfectly placed backstory that explained why certain characters didn’t get along. Every stake was high. Every character mattered. Every motivation was genuine (even if said genuine-ness included deception--good gravy what a book!). Oh, and I've barely even touched on the magic. OH EM GEE THE MAGIC, PEOPLE. It was glorious. That's really all you need to know. It was glorious. Plus, there's the cover. If you love books then you need to add this one to your collection. I mean, the edges of each page are black!! 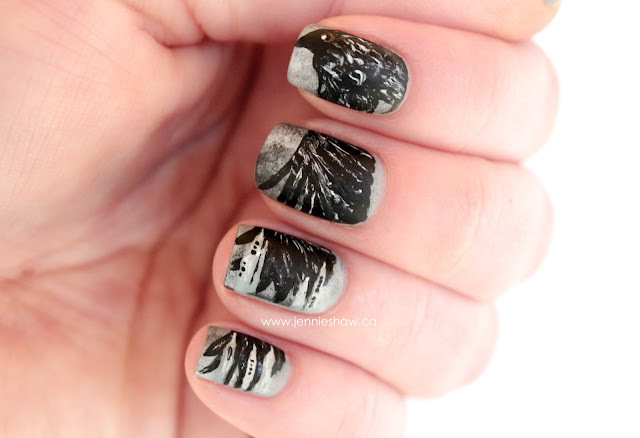 What kind of delightful witchery produces black edges?! So for what I hope are very obvious reasons, SIX OF CROWS has earned my must-read recommendation. I can’t believe how long I have to wait for the next installment, but you can bet your cute little face that I’ll be preordering it. 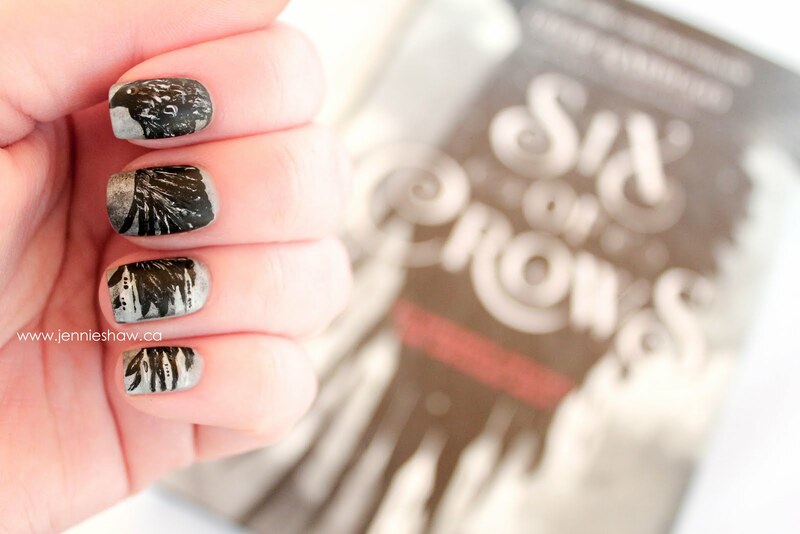 In the meantime, to soothe my anxious soul, I plan on heading to the bookstore for the Shadow and Bone series. Because obviously.